Fakenham Fairways01328 856614work Golf Driving RangeOur 10 bay floodlit covered driving range is perfect for serious practice or family fun. The range is over 250 yards long and has targets and pitching nets. 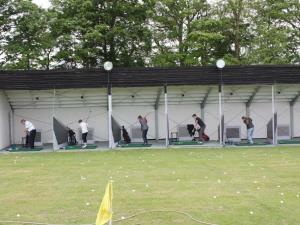 Our 10 bay floodlit covered driving range is perfect for serious practice or family fun. The range is over 250 yards long and has targets and pitching nets.